Police are re-appealing for witnesses following a fatal collision on the A5 in Milton Keynes. At 8.50am on Saturday, August 11, a black Ford Focus and a red and black classic car, were involved in a collision on the northbound carriageway, just before the junction for central Milton Keynes. Officers and the other emergency services attended the scene. A passenger who had been travelling in the classic car, a 65-year-old woman from Bedfordshire, died at the scene. The male driver of this vehicle was taken to hospital with serious injuries, and has since been discharged. A man, who had been travelling in the Ford Focus, sustained minor injuries in the collision, and was taken to hospital as a precaution. Investigating officer PC Naomi Hames, of the Serious Collision Investigation Unit, said: “We are continuing to investigate the circumstances of this collision, in which a woman tragically died. “As part of our enquiries, a number of witnesses came forward and we are grateful to those who have provided information and are working to contact everyone as soon as possible. We would like to continue to appeal to anyone who saw what happened to contact police. 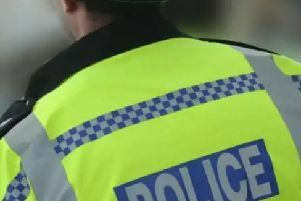 > A 28-year-old man from Milton Keynes, who was arrested on suspicion of causing death by dangerous driving and driving while unfit through drink/drugs, has been released under investigation.